Notice! Kauçuk Residence does not accept reservations at this time. Please try again later. Kauçuk Residence Contact. Featuring 2 restored mansions, Kauçuk Hotel is in the heart of Antalya, in Kaleiçi (Oldtown) district. It offers spacious rooms with unique designs either with garden or city views. Each air-conditioned room is decorated with Anatolian rugs and Turkish contemporary paintings.The Hotel has a special art-dining room where archeological remains from Hellenistic Period and Turkish contemporary paintings are exhibited. They all have a marble bathroom. Free Wi-Fi is available throughout the hotel. In the morning, Kauçuk Hotel’s restaurant serves a traditional Turkish breakfast with fresh fruits and vegetables. Kauçuk Hotel’s staff can also provide packed lunches. Lush trees surround Kauçuk Hotel’s stone-tiled terrace. Guests can sunbathe on the lounge chairs or swim in the outdoor pool. Kauçuk Hotel is a smoke free Hotel. There are designated smoking areas in the garden. Historical Mermerli Beach is just 2 minutes walking distance to the Hotel. 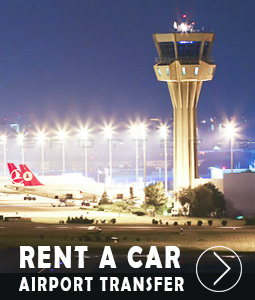 Transportation service to Antalya Airport is also provided upon request for 30 € service charge. Kauçuk Hotel is only 2 minutes walk to Historical clock tower and a 20 minute walk from Antalya Museum. Guests can enjoy dinner by ordering a special menu. - Kauçuk Hotel welcomes children only 12 years old and above . Kauçuk Residence accepts VISA and reserves the right to temporarily hold an amount prior to arrival. Kauçuk Residence accepts Master Card and reserves the right to temporarily hold an amount prior to arrival. Kauçuk Residence accepts Maestro and reserves the right to temporarily hold an amount prior to arrival. Kauçuk Residence accepts Bank card and reserves the right to temporarily hold an amount prior to arrival. Kauçuk Residence accepts ATM card and reserves the right to temporarily hold an amount prior to arrival. Food taken out of the morning is not included in the price. All beverages at the facility are charged. Guests under the age of 12 are not accepted. Access to the facility rooms starts at 14.00. The departure time from the rooms is no later than 12.00. Tesise pet is not accepted. The use of outdoor open spaces is subject to seasonal conditions. No additional beds can be added to the rooms. Bed & breakfast accommodation on the verandas ends with breakfast on the morning of departure. Odalarda sigara içilmez ibaresi bulunmadığı halde odada sigara içiliyor diye uyarildik ve bunu çalışan arkadaşla düzgün bir dille konuşup halletmisken otel sahibi gelip uykudan uyandırdı ve gereksiz kaba bir dille tekrar uyardı. Havuzda ayağımıza cam battı bunun için gelip özür dilemeyen otel sahibi sigara söz konusu olunca oda kapısına gelmeyi iyi akıl etti. İç kısım odalar daha güzel. Unutmadan, burası eski bir konak, hatta 2 konak. Ahşap bir binada olabilecek iyi bir konfor var. Rengin hanım çok ilgili birisi. Hatta fazla bile ilgili. Kauçuk Residence only for adults!